How you do Formation of Audit Committee? CentrikBlogsBusiness AdvisoryHow you do Formation of Audit Committee? Audits are very important for companies. They help in ensuring that you are running a stable and sustainable business enterprise. 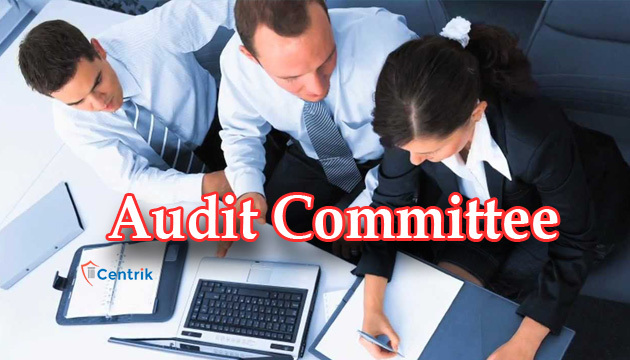 Audits are done by a group or committee of people known as the audit committee. These committees are made by the board of directors and they also explain them their task. While establishing an audit committee the board of directors needs to be very conscious of their doings. Inability of directors who are not members of audit committee to have a grasp on their working and full major accounting risks. The audit committee has a mandate which it has to follow for its formation and working. The following points are a part of the audit mandate. Board’s process for review of committee’s ongoing process. Once the committee is established, the mandate should be reviewed and updated once a year by the committee itself and then the board of directors of the company. Upon request, the mandate could be given to the shareholders. The objective of the company towards the committee is to allow it to function independently without any unnecessary interference from the management and also allow all its members to participate completely in all its working procedures. The size of the committee depends on the company’s requirement and so it varies from company to company. It is observed that mostly companies do not have a rotating policy for the working of the committee but in such a case the company should the audit committee member’s performance to ensure that it meets both the board’s and committee’s expectations. It also enhances the chance for more of the board members to understand the internal working of the audit committee. The chief executive officer of the company is not supposed to be a member of the committee but should be invited for meetings. Independence of the members of the audit committee is somehow mandatory for its better functioning. If the committee will be given complete autonomy then it will not have work under the pressure of any higher authority and will be able to give better results.